Five new stocks make our Dividend Growth Stocks Model Portfolio this month, which was made available to members on October 31, 2018. The best performing stock was up 6%. Overall, 12 out of the 30 Dividend Growth Stocks outperformed the S&P last month, and four had positive returns. The long-term success of our model portfolio strategies highlights the value of our Robo-Analyst technology, which scales our forensic accounting expertise (featured in Barron’s) across thousands of stocks. The methodology for this model portfolio mimics an All-Cap Blend style with a focus on dividend growth. Selected stocks earn an Attractive or Very Attractive rating, generate positive free cash flow (FCF) and economic earnings, offer a current dividend yield >1%, and have a 5+ year track record of consecutive dividend growth. This model portfolio is designed for investors who are more focused on long-term capital appreciation than current income, but still appreciate the power of dividends, especially growing dividends. 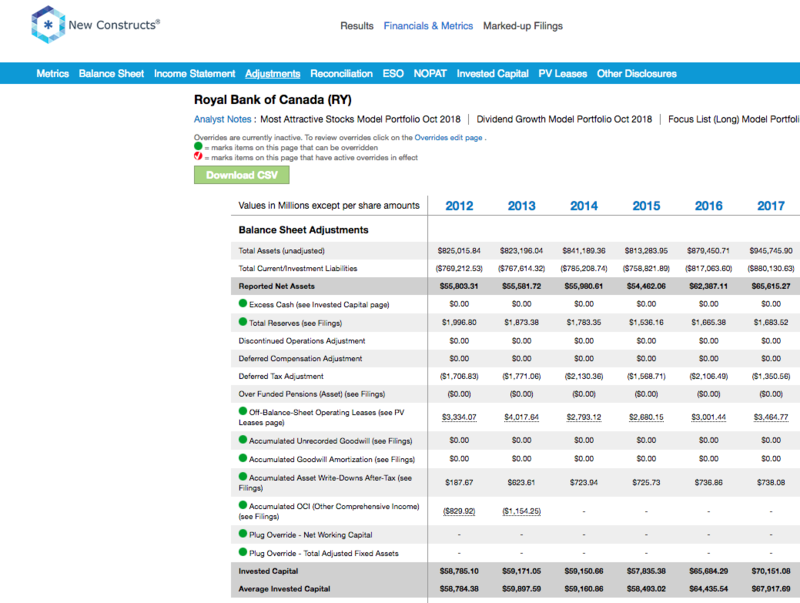 Royal Bank of Canada (RY) is the featured stock from October’s Dividend Growth Stocks Model Portfolio. RY was also a featured Long Idea in April 2018. From 2015-2017, RY’s revenue grew 10% compounded annually while its after-tax profit (NOPAT) grew 11% compounded annually. Over the trailing twelve months (TTM), revenue has grown an additional 22% over the prior TTM period while NOPAT has grown 16% over the prior TTM period. Since 2012, NOPAT margin has risen from 21% to 23% TTM while return on invested capital (ROIC) has improved from 13% to 15%. 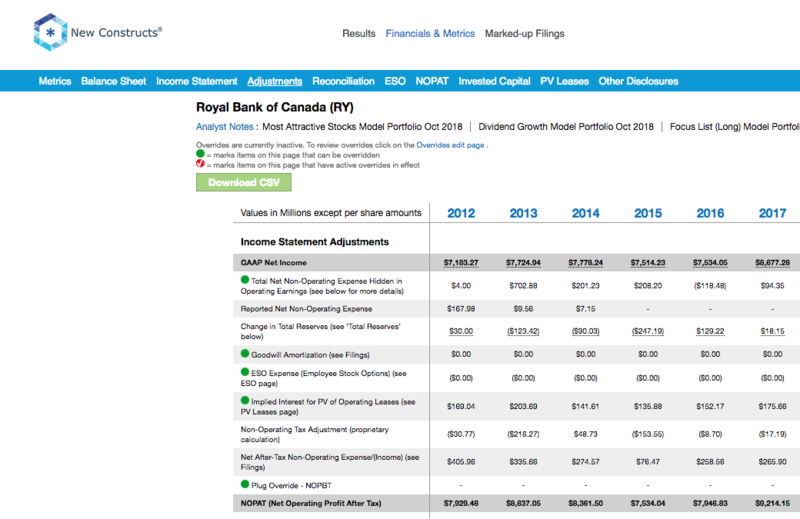 Royal Bank of Canada has increased its annual dividend every year of our model, which dates to 2012. The current annualized dividend has increased from $2.46/share in 2013 to $3.40 in 2017, or 8% compounded annually. 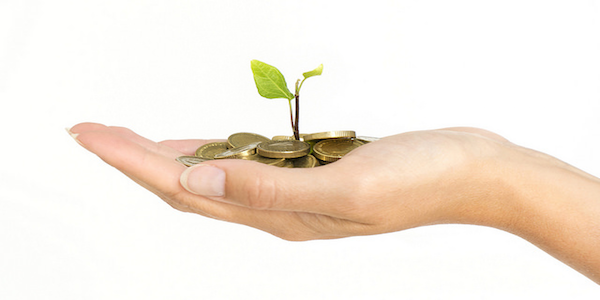 Positive FCF has fueled dividend growth in the past and should continue to do so in the future. From 2013-2017, RY generated $30.3 billion (29% of market cap), which is well above the $22.1 billion paid in dividends over the same time. Companies with FCF well in excess of dividend payments provide higher quality dividend growth opportunities because we know the firm generates the cash to support the current dividend as well as a higher dividend. 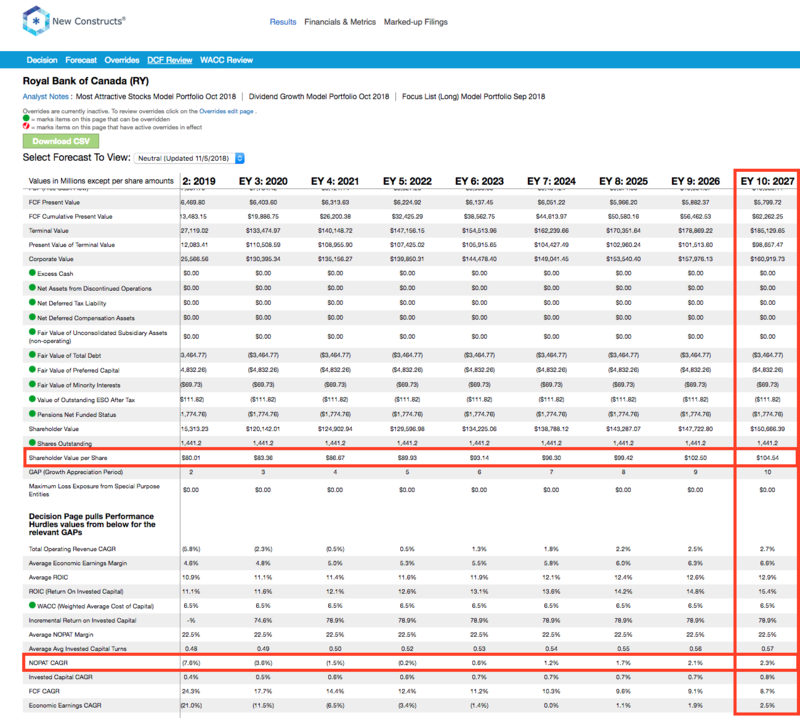 On the flip side, the dividend of a company where FCF falls short of the dividend payment over time cannot be trusted to grow or even stay the same because of inadequate free cash flow. At its current price of $73/share, RY has a price-to-economic book value (PEBV) ratio of 0.7. This ratio means the market expects RY’s NOPAT to permanently decline by 30%. This expectation seems overly pessimistic for a firm that has grown NOPAT by 10% compounded annually over the past three years and 3% compounded annually since 2012. If RY can maintain current NOPAT margins (23% TTM) and grow NOPAT by just 2% compounded annually for the next decade, the stock is worth $105/share today – a 44% upside. See the math behind this dynamic DCF scenario. Add in RY’s 4.1% dividend yield and history of dividend growth, and it’s clear why this stock is in October’s Dividend Growth Stocks Model Portfolio. Income Statement: we made $579 million of adjustments with a net effect of removing $537 million in non-operating expense (1% of revenue). See all adjustments made to RY’s income statement here. Balance Sheet: we made $9.5 billion of adjustments to calculate invested capital with a net increase of $2.3 billion. The most notable adjustment was $3.5 million (5% of reported net assets) related to operating leases. See all adjustments to RY’s balance sheet here. Valuation: we made $10.3 billion of adjustments with a net effect of decreasing shareholder value by $10.3 billion. There were no adjustments that increased shareholder value. The largest adjustment to shareholder value was $4.8 billion in preferred stock. This adjustment represents 5% of RY’s market value. Despite the decrease in shareholder value, RY remains undervalued. This article originally published on November 7, 2018.